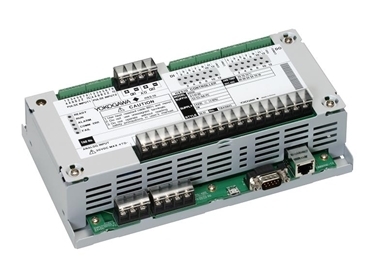 A new line of solar controllers available from Yokogawa Australia is designed for use in solar tracking applications, enabling precision tracking for maximum capture of solar energy by photovoltaic systems. The new HXS10-SolStation controller released by Yokogawa Australia controls the solar tracking actuation systems that move heliostats (reflectors), solar concentrating dishes, solar troughs and photovoltaic panels. The HXS10 solar controllers control the angles of the reflectors and solar panels, helping to maximise their power generating efficiency by ensuring they follow the sun as it moves across the sky in the course of the day. Integrating the best of Yokogawa's proven measurement and control technologies, the HXS10 solar controllers were recently exhibited at Solar Power International 10 in Los Angeles (October 2010) and are being considered for implementation in landmark projects in Australia. Renewable energy is seen as a cleaner alternative to fossil fuels and as a means of reducing greenhouse gas emissions. Solar thermal and photovoltaic power generation systems have the ability to generate electricity during the daytime hours, when demand is at its highest. In solar thermal power generation systems, the sunlight is concentrated onto a receiver that uses the heat to turn water into steam, which rotates a turbine and generates electricity. The angle of the heliostat must be controlled so that it tracks the movement of the sun and precisely focuses the sunlight onto the receiver. Photovoltaic power generation systems feature fixed type solar panels but their power-generating efficiency can be improved if panels are kept directed at an optimal angle towards the sun. Yokogawa employs its reliable control technologies in the HXS10 solar controllers to control the actuation systems of solar thermal and photovoltaic power generation systems. Based on the facility’s location, date and time, the HXS10 calculates the position of the sun through a high-resolution NREL solar position algorithm, and operates motors or hydraulic actuators to adjust the angle of the heliostats and solar panels so they stay pointed toward the sun. The HXS10 function block features precise time synchronising using an SNTP, which allows the controller to be linked to a master PC clock, or an atomic clock via the Internet for truly precise time tracking to fractions of a second.